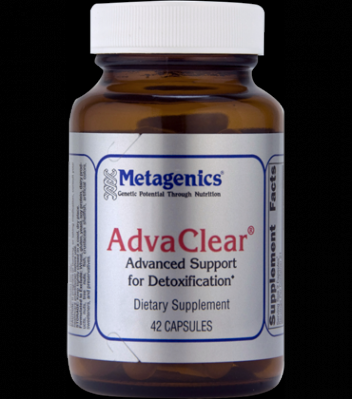 Promotes overall well-being by supporting bifunctional detoxification. Bifunctional support enhances the activities of several hepatic detoxification enzymes while promoting balanced activity of the Phase I and Phase II detoxification pathways. Protects against free radicals generated during Phase I detoxification by featuring a variety of nutrients with potent antioxidant properties. When used with a macronutrient formula, provides a versatile approach to a comprehensive detoxification program. Capsules are composed of plant-derived ingredients.   As Metafolin; U.S. Patent Nos. 5,997,915; 6,254,904.